MOOSE, Wyo. (CNS) — Shirley Craighead knows a thing or two about grizzly bears. She and the bears live in the same place. “I live here and love it!” Craighead emphatically told Catholic News Service in her home in Moose, just shy of the Teton Range in Grand Teton National Park. In her house, she has knickknacks featuring bears, pictures of bears and even a pair of salt and pepper shakers in the shape of bears. Beside the shoes at her doorway, lie cans of bear spray, a deterrent for use against aggressive bears. Shirley came to know a lot about grizzlies and other wildlife from her late husband, Frank Craighead, and his twin brother, John, who died this past September at age 100. As researchers and conservationists, the Craighead brothers are known for their studies of the greater Yellowstone area. “They did the original study on grizzly bears and developed the radio tracking that is used commonly nowadays,” she said. The tracking innovation has been used by scientists for decades, helping humans understand animal migration and the systems in which they live. As a girl growing up in Massachusetts, Shirley Craighead read a lot of books. She said she longed to have the same adventures and to see different places like the characters she read about. She became a Maryknoll sister and went on to work in Chile. Her life also led her to other places: Belize, El Salvador and Mexico. Later in life, Shirley met Frank Craighead at a book lecture. Shirley smiles large when talking about her love of the park. She said there are wonderful fishing spots, canoeing, skiing and of course bird and animal watching. Has she seen a grizzly? 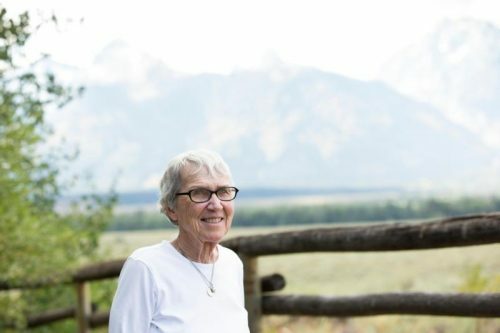 Shirley shared a specific story about taking a visiting priest on his first tour of Grand Teton, and he was eager to spot a grizzly. 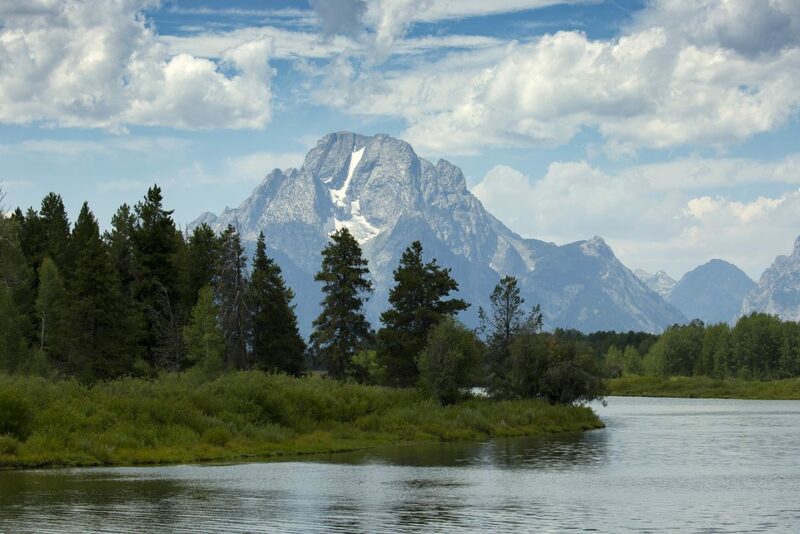 During the tour, the two stopped at Oxbow Bend, a popular Teton viewpoint along a meander of the Snake River. 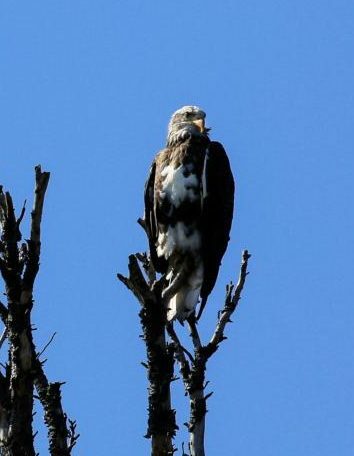 It’s a favorite spot for ospreys and bald eagles, river otters, beavers, muskrats, elk and moose. Then, Shirley and her guest were treated to a spectacular surprise. Another time, Shirley was away from her house when her neighbors spotted a grizzly snooping around her porch. One is the Catholic Chapel of the Sacred Heart, an all-log structure that has served park visitors and the locals for nearly 80 years. She has been its caretaker and sacristan for the past 15. “The chapel is extremely interesting,” Shirley said. It’s one of very few active churches that exist within a national park, a place that has given her the opportunity to meet people from all over the world. The second is Cascade Canyon. Shirley said the canyon trail is challenging going up, but along the way hikers are treated to a waterfall and open views at Inspiration Point. On the 100th anniversary of the National Park Service, Shirley reflected on the wisdom U.S. leaders had in setting up the national park system. The Craighead house sits on an inholding, land that was privately owned before it was included within the park boundaries. But Shirley Craighead said her land in many ways is our land.